An early entry candidate selected after his redshirt junior season out of Indiana University-Purdue University Indianapolis by the San Antionio Spurs in the first round (26th overall) in the 2008 NBA Draft ... Signed a multi-year contract with the Spurs (9/23/08) ... Traded to the Indiana Pacers in exchange for the draft rights to Davis Bertans, draft rights to Kawhi Leonard and the draft rights to Erazem Lorbek (6/23/11) ... Signed a multi-year contract with the Indiana Pacers (7/23/12) ... Traded to the Utah Jazz in exchange for the draft rights to Taurean Prince (7/7/16) ... Signed a multi-year contract with the Kings (7/10/17). Won the Oct. 2013 Community Assist Award ... Received Western Conference Player of the Week honors for Oct. 31- Nov. 6, 2016. Averaging 11.8 ppg (.453 FG%, .380 3pt%, .802 FT%), 3.2 rpg. 3.3 apg, 0.9 spg, 0.3 bpg and 29.0 mpg in 599 career games (374 starts) in nine seasons with three teams: San Antonio (2008-11), Indiana (2011-16) and Utah (2016-17) ... Has shot over 40 percent from the field in each of his nine seasons and over 44 percent in the past eight seasons. Averaged a career-high 16.9 ppg (.477 FG%, .403 3pt%, .801 FT%), 3.4 rpg, 4.2 apg and 1.0 spg, 0.2 bpg and 31.5 mpg in 49 games (49 starts) ... Did not dress in eight games (11/7- 11/20/16) due to a sprained right thumb ... Did not dress in eight games (12/1-12/10, 12/23-12/27/16) due to a sprained left big toe .. Inactive in five games (12/14-12/21/16) due to a sprained left big toe ... Did not dress in two games due to a lip laceration and concussionlike symptoms (1/2/17, 1/3/17) ... Inactive in one game due to a lip laceration and concussion-like symptoms (1/5/17) ... Did not dress in two games due to left great toe soreness and rest(2/9/17, 3/8/17) ... Inactive due to left great toe soreness and rest (3/6/17) ... Inactive in six games due to a right groin strain (3/29-4/8/17) ... Scored 10+ points in 40 games, 20+ in 16 games, and 30+ in two games ... Recorded five-plus assists in 21 games ... Led the team in scoring in 12 contests and assists in 24 games ... Earned Western Conference Player of the Week honors for the week of Oct. 31- Nov. 6 after he averaged 20.8 ppg (.585 FG%, .550 3pt%, .909 FT%), 3.3 rpg, 5.5 apg, 0.8 spg and 32.8 mpg in four games (Four starts) ... Top Single-Game Performances: Posted team-highs with 23 points (7-14 FG, 2-7 3pt, 7-9 FT) and three assists in the team's home opener vs. Los Angeles Lakers (10/28/16) ... Totaled 22 points (9-13 FG, 3-5 3pt, 1-1 FT) and seven assists in a win at San Antonio (11/1/16) ... Recorded a team-high 25 points (9-15 FG, 4-6 3pt, 3-3 FT) and added six boards and four assists just a day later in a win vs. Dallas (11/2/16) ... Dished out a team-high eight assists to go along with 23 points (8-12 FG, 1-3 3pt, 6-7 FT) in a win at New York (11/6/16) ... Led the Jazz with 24 points (7-15 FG, 0-3 3pt, 10-11 FT) and grabbed a season-high eight rebounds in a win at Minnesota (11/28/16) ... Returned from an 18-game absence with a 21-point (8-10 FG, 2-2 3pt, 3-6 FT), eight-rebound, six-assist and three-steal performance in 29 minutes vs. Philadelphia (12/29/16) ... Posted 30 points (9-16 FG, 3-5 3pt, 9-11 FT), six boards and five assists vs. Indiana (1/21/17) ... Swiped a season-high four steals and added 19 points (4-6 FG, 3-4 3pt, 8-8 FT) in a win at Milwaukee (2/24/17) ... Scored a season-high 34 points (10-12 FG, 3-3 3pt, 11-12) and set season-highs in field goals made, free-throws made and free-throws attempted to go along with seven assists in a win vs. Brooklyn (3/3/17) ... Became just the ninth player in the past 50 years with a 34-plus point game on 12-or-fewer field goal attempts. 2017 Playoffs: Averaged a career-high 15.6 ppg (.469 FG%, .387 3pt%, .724 FT%), 4.1 rpg, 3.6 apg, 0.3 spg, 0.1 bpg and 35.1 mpg in eight games (Eight starts) ... Missed three games ... Inactive in three games due to a toe injury (5/4-5/8/17) ... Scored in double-figures in seven games and 20+ points in two games ... Top Single-Game Performances: Recorded 26 points (9-15 FG, 4-6 3pt, 4-6 FT), three rebounds, three assists and one steal vs. LA Clippers (4/21/17) ... Collected 22 points (8-13 FG, 1-2 2pt, 5-9 FT), five rebounds and three assists vs. LA Clippers (4/28/17) ... Notched 17 points (7-13 FG, 1-2 3pt, 2-2 FT), four rebounds and five assists at LA Clippers (4/30/17). Averaged 12.1 ppg (.441 FG%, .408 3pt%, .760 FT%), 4.0 rpg, 3.5 apg, 1.1 spg, 0.2 bpg and 34.1 mpg in 74 games (73 starts) ... In his one game as a reserve, he recorded eight points (2-7 FG, 1-2 3pt, 3-4 FT), one rebound, four assists and two steals in 32.5 minutes of play ... Missed six games ... Not with team for two games due to an upper respiratory infection (11/16/15, 11/18/15) ... Did not play due to a coach's decision in three games (11/21/15, 1/22/16, 4/13/16) ... Did not dress in one game due to food poisoning (1/4/16) ... Not with team for two games due to personal reasons (1/17/16, 1/19/16) ... Scored 10+ points in 49 games and 20+ in seven ... Grabbed 10 or more rebounds in three games ... Dished out five-plus assists in 20 games ... Led the team in scoring in eight games, in rebounding in six games and assists in 13 games ... Ranked 15th in the NBA in three-point percentage and 36th in the league in three-point field goals made with 128 ... Ranked 27th in the NBA in minutes ... Finished 18th in the league with an assist to turnover ratio of 2.56 ... His three games with 10+ rebounds matched the same amount of double-digit rebouding games in the prior seven seasons of his NBA career ... Passed the 6,000 point mark and finished the season with a total of 6,210 career regular season points ... Top-Single Game Performances: Scored a season-high 23 points (8-13 FG, 4-6 3pt, 3-4 FT) and added seven rebounds in a win vs. Orlando (11/9/15) ... Notched 20 points (8-15 FG, 3-5 3pt, 1-1 FT), seven rebounds, three assists and four steals at Chicago (12/30/15) ... Recorded 23 points (9-16 FG, 4-8 3pt, 1-1 FT), five boards and four assists vs. Cleveland (2/1/16) ... Dished out a season-high nine assist and tied his career-high with 11 rebounds to go along with nine points (3-11 FG, 3-6 3pt) for a near triple-double in a win at Oklahoma City (2/19/16) ... Posted 20 points (6-10 FG, 3-6 3pt, 5-6 FT, nine assists and three rebounds vs. Oklahoma City (3/19/16). 2016 Playoffs: Averaged 13.6 ppg (.561 FG%, .481 3pt%, .818 FT%), 2.7 rpg, 2.1 apg, 0.9 spg, 0.1 bpg and 33.6 mpg in seven games (Seven starts) ... Scored 10 or more points in six games and 20+ in one game ... Top Single-Game Performances: Scored 22 points (9-11 FG, 2-4 3pt, 2-2 FT) and added four rebounds and three assists in a win vs. Toronto (4/23/16) ... Grabbed five rebounds to go with 12 points (2-8 FG, 1-2 3pt, 7-8 FT) and four assists vs. Toronto (4/29/16) ... Recorded 19 points (8-11 FG, 3-4 3pt) in Game 7 of the opening round at Toronto (5/1/16). Averaged 16.1 ppg (.477 FG%, .358 3pt%, .790 FT%), 4.2 rpg, 5.1 apg, 1.0 spg, 0.3 bpg and 29.5 mpg in 43 games (36 starts) ... As a starter, averaged 16.6 ppg (.482 FG%, .369 3pt%, .794 FT%), 4.3 rpg, 5.6 apg, 1.1 spg, 0.4 bpg and 31.2 mpg in 36 games ... As a reserve, averaged 13.3 ppg (.443 FG%, .303 3pt%, 13-17 FT), 3.3 rpg, 2.9 apg, 0.7 spg, 0.1 bpg and 20.4 mpg in seven games ... Missed 39 games due to various injuries ... Inactive in the first 28 games of the season due to a left knee contusion (10/29-12/21/14) ... Did not dress in four games due to a left groin strain (1/2/-1/7/15) ... Inactive in seven games due to the same left groin strain (1/9-1/21/15) ... Scored 10+ points in 37 games, 20+ in 15 games, and 30+ in one contest ... Recorded 10+ rebounds in one game ... Posted 5+ assists in 24 games and 10+ in three games ... Recorded 10 or more assists in a career-high three games ... Notched two double-doubles and one triple-double ... Led the team in scoring 13 times and in assists 19 times ... Finished fifth in the league with a 3.19 assist to turnover ratio ... Made career free throw number 1,000 and added 50 more throughout the rest of the season for a career total of 1,050 ... Surpassed the 5,000 career point mark and finished the year with 5,316 career regular season points ... Top Single-Game Performances: Scored 20 points (3-8 FG, 2-3 3pt, 12-15 FT) as he set career-highs in free throws made and attempted and tallied seven assists and three rebounds in a win vs. Cleveland (2/6/15) ... Posted 15 points (4-15 FG, 0-5 3pt, 7-8 FT), 12 assists and 10 rebounds for his first career triple-double in a win vs. Cleveland (2/27/15) ... Recorded a season-high 30 points (11-18 FG, 2-7 3pt, 6-6 FT) and added five rebounds and eight assists vs. Boston (3/14/15) ... Tied his career-high in field goals made on his way to 29 points (12-24 FG, 0-4 3pt, 5-5 FT), seven rebounds, and nine assists in a win at Washington (3/29/15) ... Scored 24 points (11-25 FG, 2-10 3pt) to go with 10 assists and nine rebounds for his second double-double of the season in a win during the final home game of the year vs. Washington (4/14/15). Averaged 10.3 ppg (.442 FG%, .365 3pt%, .807 FT%), 3.7 rpg, 3.5 apg, 1.0 spg, 0.3 bpg and 32.0 mpg in 76 games (76 starts) ... Missed six games, five due to injury ... Did not dress in three games due to soreness in his left hip (11/2-11/6/13) ... Inactive in two games due to a bruised left shoulder (3/1/14, 3/2/14) ... Did not play in one game due to a coach's decision (4/9/14) ... Scored in double-figures 41 times, 20 or more points in five games and 30+ in one game ... Recorded five-plus assists in 22 games and 10+ once ... Ranked 14th by season's end with a 2.88 assist to turnover ratio ... Recorded his 1,000th career rebound and ended the year with 1,280 career rebounds ... Eclipsed the 4,000 career-point mark and ended the season with 4,624 career points ... Top Single-Game Performances: Notched 23 points (7-18 FG, 4-10 3pt, 5-8 FT) and eight rebounds in a win at New York (11/20/13) ... Posted 26 points (9-13 FG, 3-4 3pt, 5-6 FT), seven assists and a career-high tying five steals in a win vs. Minnesota (11/25/13) ... Recorded a career-high 37 points (12-19 FG, 2-4 3pt, 11-12 FT) to go with a season-high nine rebounds and eight assists as he set a career-high for field goals made, which included a three-pointer with eight seconds remaining to force overtime in a OT win vs. Portland (2/7/14) ... Grabbed seven rebounds and tied his career-high with five on the offensive end and added 12 points (3-10 FG, 2-5 3pt, 4-6 FT) and two steals vs. Atlanta (4/16/14). 2014 Playoffs: Averaged 12.1 ppg (.444 FG%, .364 3pt%, .721 FT%), 3.7 rpg, 3.0 apg, 1.2 spg, 0.2 bpg and 36.2 mpg in 19 games (19 starts) ... Scored in double-figures 13 times ... Top Single-Game Performances: Collected 15 points (5-8 FG, 0-2 3pt, 5-6 FT), four rebounds and two assists in a Game 2 win vs. Atlanta (4/22/14) in the opening round of the postseason ... Scored 15 points (3-10 FG, 0-5 3pt, 9-9 FT) and added five rebouunds, four assists and three steals in a Game 7 victory vs. Atlanta (5/3/14) ... Opened the Eastern Conference Semifinals up with a playoff-high 18 points (6-11 FG, 3-6 3pt, 3-5 FT), four rebounds and one assist vs. Washington (5/7/14) ... Recorded 15 points (6-12 FG, 1-5 3pt, 2-4 FT), two rebounds, four assists and two steals in a Game 1 win vs. Miami in the Eastern Conference Finals ... Tied his playoff career-high after he grabbed seven rebounds and scored nine points (4-9 FG, 1-2 3pt, 0-2 FT) in a win vs. Miami (5/28/14). Averaged 14.2 ppg (.443 FG%, .368 3pt%, .817 FT%), 3.7 rpg, 4.6 apg, 1.1 spg, 0.3 bpg and 34.5 mpg in 76 games (76 starts) ... Missed five games ... Did not dress in one game due to a right groin strain (12/31/12) ... Did not play in the following two games due to coach's decision (1/2//13, 1/4/13) ... Did not dress in one game due to a left groin strain (3/25/13) ... Inactive in the final game of the season (4/17/13) ... Scored 10+ points in 61 games and 20+ times ... Notched 10 or more rebounds in one contest ... Recorded five-plus assists in 39 games and 10+ twice ... Posted three double-dobules ... Led the team in assist per game ... Third on the team in scoring and second in steals ... 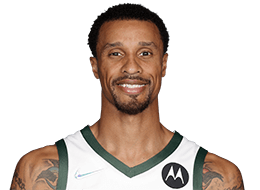 Seventh in the NBA with an assist to turnover ratio of 3.04 ... Dished out a career-high 355 assists during the season, which were more than 338 assists he recorded in the past two seasons combined ... Made a career-high 130 three-pointers by the end of the season ... Finished the season with a career-best 81 steals ... Hit the 3,000 point mark and totaled 3,843 career-points at the conclusion of the season ... Dished out career assist number 1,000 and ended the season with 1,055 career assists ... Top Single-Game Performances: Scored a season-high 29 points (11-17 FG, 2-4 3pt, 5-5 FT) and added seven assists, five boards, and one steal at Minnesota (11/9/12) ... Posted five rebounds, five assists and 19 points (7-13 FG, 1-4 3pt, 4-5 FT), which included a game-winner with one tenth of a second left in a win at LAL (11/27/12) ... Recorded his first double-double of the season with 15 points (5-15 FG, 3-9 3pt, 2-3 FT) and a season-high 10 assists vs. Denver (12/7/12) ... Grabbed a season-high 10 rebounds to go with 15 points (6-13 FG, 2-4 3pt, 1-1 FT) and nine assists for a near triple-double in a win vs. Philadelphia (12/14/12) ... Tallied 22 points (10-16 FG, 2-7 3pt, 0-1 FT), nine rebounds, eight assists and two steals at Utah (1/2/6/13) ... Matched his season-high with 10 assists and added 17 points (5-15 FG, 3-7 3pt, 4-4 FT) vs. Brooklyn (4/12/13). 2013 Playoffs: Averaged 14.6 ppg (.401 FG%, .358 3pt%, .829 FT%), 3.7 rpg, 4.3 apg, 1.2 spg, and 38.1 mpg in 18 games (18 starts) ... Missed one game ... Inactive in one game due to a concussion (5/16/13) ... Scored in double-figures 15 times and 20+ points three times ... Recorded 10 or more assists once ... Collected one doubledouble ... Top Single-Game Postseason Peformances: Posted his first career postseason double-double with 15 points (5-10 FG, 1-5 3pt, 4-4 FT) and a playoff career-high 10 assists in a Game 5 win vs. Atlanta (5/1/13) ... Scored 17 points (5-16 FG, 5-12 3pt, 2-2 FT) to tie his career postseason high of three-pointers made and grabbed six rebounds in a win vs. New York (5/11/13) ... Recorded his 2013 postseason-high with 26 points (9-14 FG, 2-6 3pt, 6-9 FT) and tallied three boards, four assists and a steal in another win vs. New York (5/14/13) to give the Pacers a 2-0 lead ... Notched 19 points (4-13 FG, 2-6 3pt, 9-10 FT), five rebounds and six assists in a win vs. Miami (5/28/13) ... Dished out six assists to go with 16 points (6-12 FG, 2-4 3pt, 2-2 FT) to help the Pacers win vs. Miami (6/1/13) in a possible elimination game during the Eastern Conference Finals. Averaged 9.6 ppg (.442 FG%, .367 3pt%, .778 FT%), 3.0 rpg, 2.9 apg, 0.8 spg, 0.3, and 25.5 mpg in 50 games (Nine starts) ... As a starter, averaged 13.9 ppg (.447 FG%, .361 3pt%, .778 FT%), 3.7 rpg, 5.3 apg, 0.6 spg, 0.6 bpg and 32.6 mpg in nine games ... As a reserve, averaged 8.7 ppg (.441 FG%, .369 3pt%, .778 FT%), 2.9 rpg, 2.4 apg, 0.9 spg, 0.3 bpg and 23.9 mpg in 41 games ... Missed a total of 16 games due to injury or illness ... Out for one contest due to a sore lower back (1/9/12) ... Missed 12 games in the month of February due to a chip frature in his left ankle (2/1/-2/21/12) ... Out for two games with a sprained left shoulder (3/10/12, 3/11/12) ... Missed another game after reaggravating his left shoulder (4/23/12) ... Scored in double figures in 25 games and three games with 20 points or more ... Top Single-Game Performances: Posted 22 points (7- 11 FG, 2-4 3pt, 6-6 FT), two rebounds and a season-high five steals in a win at Toronto (1/13/12) ... Scored a season-high 24 points (7-9 FG, 3-4 3pt, 7-8 FT) to go with thre rebounds and five assists in a win at Milwaukee (3/24/12) ... Grabbed seven boards and added 18 points (5-9 FG, 1-3 3pt, 7-7 FT), four assists and a steal in a win vs. Toronto (4/9/12) ... Recorded 22 points (8-12 FG, 2-3 3pt, 4-7 FT), a season-high eight assists and five rebounds in a win vs. Milwaukee (4/19/12). 2012 Playoffs: Averaged 13.5 ppg (.448 FG%, .375 3pt%, .848 FT%), 2.3 rpg, 2.9 apg, 1.2 spg, 0.3 bpg and 31.5 mpg in 11 games (11 starts) ... Scored 10 or more points in nine games and 20 or more in one game ... Top Single-Game Performances: Scored 18 points (6-10 FG, 1-3 3pt, 5-6 FT) and added four rebounds in a win vs. Orlando (4/30/12) in the opening round of the postseason ... Recorded 20 points (6-8 FG, 3-4 3pt, 5-5 FT), his best total during the 2012 playoffs, to go along with five assists in a win vs. Miami (5/17/12) to help the Pacers to a 2-1 series lead ... Totaled 18 points 7-13 FG, 1-3 3pt, 3-5 FT), two rebounds, five assists and two steals vs. Miami (5/24/12). Averaged 11.6 ppg (.453 FG%, .377 3pt%, .863 FT%), 2.6 rpg, 2.5 apg, 0.9 spg, 0.3 bpg and 28.3 mpg in 76 games (Five starts) ... As a starter, averaged 16.8 ppg (.483 FG%, 5-14 3pt, 23-28 FT), 3.4 rpg, 4.4 apg, 1.2 spg, 0.2 bpg and 31.4 mpg in five games ... As a reserve, averaged 11.3 ppg (.450 FG%, .379 3pt%, .868 FT%), 2.6 rpg, 2.4 apg, 0.8 spg, 0.3 bpg, and 28.0 mpg in 71 games ... Posted double-figure scoring in 49 games with seven games of 20+ points and one game of 30+ points ... Led the team in scoring seven times, rebounding once, assists six times, steals 15 times and blocks nine times ... Ranked 17th in the NBA in free throw percentage ... Top Single-Game Performances: Tied his then career-high and marked his season-high with 30 points (9-12 FG, 1-3 3pt, 11-12 FT) at Memphis (3/27/11) ... Recorded 27 points (11-20 FG, 0-2 3pt, 5-8 FT) and six assists the following night vs. Portland (3/28/11) ... Posted 29 points (10-16 FG, 4-7 3pt, 5-5 FT) and four assists in a win vs. Phoenix (4/3/11). 2011 Playoffs: Averaged 11.7 ppg (.400 FG%, .267 3pt%, .848 FT%), 5.0 rpg, 2.3 apg, 1.5 spg, 0.2 bpg and 31.5 mpg in six games (One start) ... Scored 10+ points in five games ... Top Single-Game Performances: In his only start of the series off , totaled15 points (2-7 FG, 0-3 3pt, 11-13 FT), seven rebounds, three assists, and four steals as he set his playoff career-high to date in free throws made and attempted vs. Memphis (4/17/11) ... Came off the bench in Game 2 and posted a postseason-best 16 points (3-9 FG, 2-2 3pt, 8-9 FT) and added five rebound, four assists and two steals in a win vs. Memphis (4/20/11). Averaged 12.4 ppg (.478 FG%, .399 3pt%, .772 FT%), 2.6 rpg, 2.9 apg, 0.9 spg, 0.3 bpg and 29.2 mpg in 78 games (43 starts) ... As a starter, averaged 15.8 ppg (.486 FG%, .392 3pt%, .752 FT%), 3.2 rpg, 3.7 apg, 0.8 spg, 0.4 bpg and 35.2 mpg in 43 games ... As a reserve, averaged 8.7 ppg (.461 FG%, .413 3pt%, .813 FT%), 2.1 rpg, 2.1 apg, 1.0 spg, 0.3 bpg and 23.3 mpg in 35 games ... Missed four games due to a strained right peroneal tendon (4/6-4/12/10) ... Scored 10+ points 50 times, 20+ nine times and 30+ once ... Recorded 10+ assists in one game ... Posted five-plus steals in one contest ... Notched one double-double ... Top Single-Game Performances: Dished out nine assists to go with 23 points (7-16 FG, 0-1 3pt, 9-9 FT) and four rebounds for a near double-double in a win at Sacramento (2/3/10) ... Recorded a season-high 11 assists and added 14 points for his lone double-double in a win vs. LA Clippers (3/13/10) ... Scored 27 points (9-14 FG, 2-3 3pt, 7-9 FT) and grabbed five boards in a win at Oklahoma City (3/22/10) ... Posted a career and season-high 30 points (11-15 FG, 2-2 3pt, 6-6 FT), seven assists and a career-high five steals vs. Houston (3/31/10). 2010 Playoffs: Averaged 13.4 ppg (.451 FG%, .379 3pt%, .838 FT%), 3.1 rpg, 0.7 apg, 1.0 spg, 0.2 bpg and 34.4 mpg in 10 games (8 starts) ... Scored in double-figures in six games and had 20 or more points in two games ... Top Single-Game Performances: Recorded 29 points (11-16 FG, 5-6 3pt, 2-2 FT), his highest postseason singlegame total, in a win vs. Dallas (4/25/10) ... Posted 21 points (7-12 FG, 2-4 3pt, 5-6 FT) and six rebounds to help the Spurs clinch the series in a win vs. Dallas (4/29/10) ... Totaled 17 points (6-11 FG, 1-1 3pt, 4-5 FT) and three rebounds off the bench vs Phoenix (5/9/10). Averaged 5.7 ppg (.403 FG%, .329 3pt%, .781 FT%), 2.1 rpg, 1.8 apg, 0.6 spg, 0.3 bpg and 16.5 mpg in 77 games (Seven starts) ... As a starter, averaged 9.7 ppg (.400 FG%, 2-13 3pt, 14-15 FT), 3.3 rpg, 3.4 apg, 0.7 spg, 0.3 bpg and 27.9 mpg in seven games ... As a reserve, averaged 5.3 ppg (.404 FG, .367 3pt%, .763 FT%), 1.9 rpg, 1.6 apg, 0.6 spg, 0.3 bpg and 15.4 mpg in 70 games ... Scored 10+ points 17 times and 20 or more points three times ... Grabbed 10+ rebounds in one game ... Collected one double-double ... Led the team in scoring in three times and assists nine times ... Top Single-Game Performances: Scored a season-high 23 points (7-13 FG, 2-2 3pt, 7-10 FT) and added four assists and three steals in a win vs. Utah (11/21/08) ... Posted his first career double-double and his only one on the season with 19 points (7-16 FG, 0-1 3pt, 5-6 FT) and 11 rebounds in a win vs. Chicago (11/26/08). 2009 Playoffs: Averaged 5.9 ppg (.333 FG%, .375 3pt%, .857 FT%), 2.0 rpg, 0.5 apg, 0.5 spg, 0.3 bpg and 19.0 mpg in four games (Zero starts) ... Top Single-Game Performance: Scored nine points (3-8 FG, 1-3 3pt, 2-3 FT) and tallied four rebounds and two steals vs. Dallas (4/28/09). Averaged 17.0 ppg (.529 FG%, .404 3pt%, .785 FT%), 5.8 rpg, 3.3 apg, 1.6 spg, 0.3 bp and 33.3 mpg in 95 careers games in four seasons at Indiana University-Purdue University Indianapolis ... Ranked fourth in IUPUI history in scoring with 1,619 career points ... 2007-08: named the Summit League Player of the Year and earned AP All-American Honorable Mention honors after he averaged 21.5 ppg (.545 FG%, .450 3pt%, .812 FT%), 6.8 rpg, 4.3 apg, 1.8 spg, 0.4 bpg and 36.8 mpg in 32 games ... Led the Summit League in scoring and ranked 16th nationally ... Ranked fifth in rebouding in assists and steals among league leaders while he also ranked third in steals and fourth in three-point field goal percentage ... 2006-07: Averaged 14.6 ppg (.509 FG%, .308 3pt%, .652 FT%), 5.4 rpg, 2.0 apg, 1.6 spg and 28.4 mpg in five games ... Missed 25 games due to a broken right foot ... 2005-05: Selected to the All-Mid-Continent Conference First Team after he averaged 18.9 ppg (.518 FG%, .320 3pt%, .798 FT%), 6.0 rpg, 3.6 apg, 1.7 spg 0.3 bpg and 35.1 mpg in 29 games ... Scored in double-figures in 25 game and 20+ points in 17 games ... Set a school record after he went 10-of-10 from the field for 23 points and added 10 rebounds and six assists vs. Missouri-Kansas City (1/21) ... Earned Academic All-Mid-Continent Conference honors ... 2004-05 : Named to the Mid-Continent Conference All-Newcomer team after he averaged 10.7 ppg (.523 FG%, .412 3pt%, .709 FT%), 4.5 rpg, 2.2 apg, 1.4 spg, 0.2 bpg and 28.4 mpg in 29 games. Lists Michael Jordan as his favorite NBA player ... Led the state of Indiana in scoring during his senior season and was Named the 2004 City Player of the year by the Indianoplis Star ... Made the Indana All-Star Team .. Enjoys sould food and in his free time can be found fishing or working on old cars .. . Led a clinic, focused on developing basketball skills, for 240 underserved youth from the Granite Education Foundation in Sep. 2016 ... Hosted an event benefitting military families during the holiday season in Indiana ... Received the Majory Taylor Award from the Indiana Black Expo, which recognizes sports figures who make significant contributions to local youth ... Enjoys meeting and talking to fans ... An only child and became the first member of his family to attend college ... Has one son, Zayden.